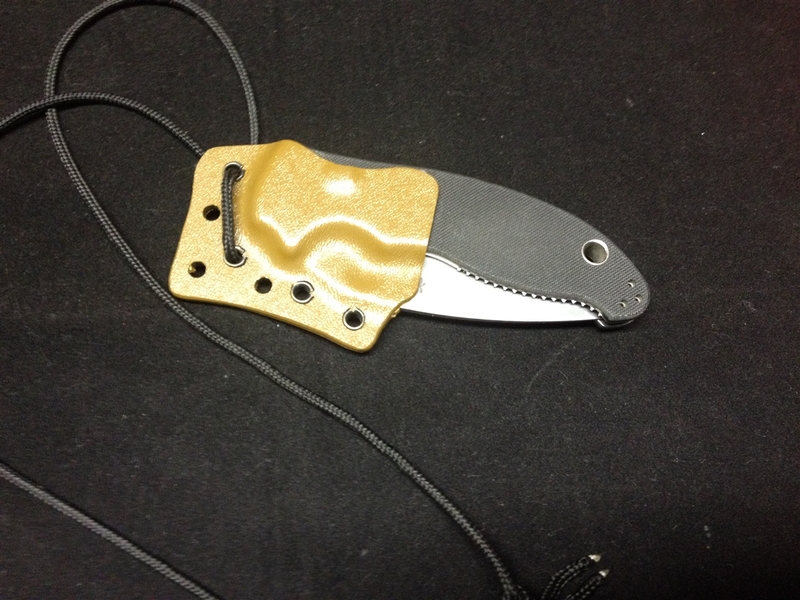 The new GEN2 auto sheath is an awesome little sheath redesigned to be even better for your non assisted folding knives. 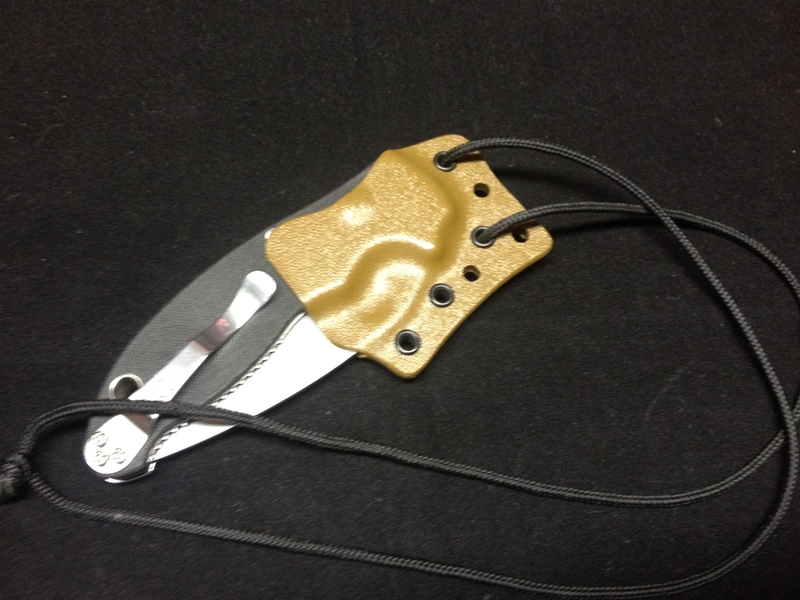 The sheath allows the user to quick draw the knife and the sheath deploys the blade of the knife cutting down deployment time. The new GEN2 models have some awesome new features! Now heres the kicker with the new GEN2 you can buy a necker sheath and it comes set up to take a molle ot tek lok if you choose to add one on later or if you have one already on a knife you dont frequently use it is easy to add a key ring into the top eyelet and a piece of the paracoard can be used to attach a carabiner at any time ! Step 1 After placing an order with us your order will go into production. Orders are put into production in the order they are revived. Step 2 The sheath will be made and field tested. We have 3 tests we run on each sheath prior to the customer update. Here at Extreme Edge Custom Kydex We only use US materials, because of this we stand behind the materials we use and our skills. We will stand behind everything we make repair or replace! 1) If you use your knife everyday or have had the knife for a while the profile of the blade may have changed over time resulting in a not exact match fit in your sheath! 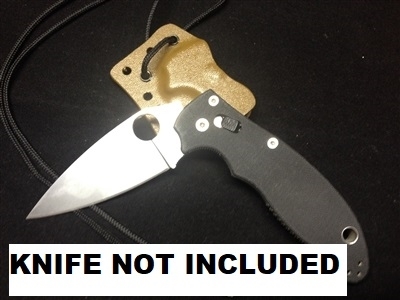 NO WORRIES you pay to ship your knife and sheath to us we re-run it through the process free of charge to you then we pay your return shipping to you. 2) Lets say your hiking and a misplaced step sends you tumbling down the hill. As you tumble the handle of the knife catches on a tree limb or smashes on a rock resulting in a crack or break in the sheath return and we will replace free of charge minus you shipping the sheath to us. We Do NOT Cover FIRE Damage with our warranty!